2. You are initially found to have one or more disqualifying criteria. 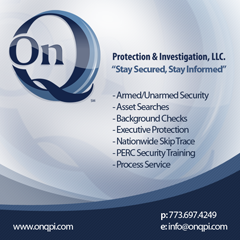 TSA will send a letter to you and provide details of the potentially disqualifying factor. You have 60 days to respond to the letter. At this time, your options include: 1) do nothing and forego receiving an HME; 2) request an appeal; 3) request a waiver; or 4) request a time extension. A time extension is automatically granted if it is requested.If no response is provided to TSA in the allotted time, you will be disqualified, and your state will be notified. No additional letter will be sent to you. The state will revoke the HME if you hold one, or not issue the HME if you are applying for or transferring an HME. 4. You are found to be an imminent threat to transportation security. You and your state will be notified if you are ineligible for an HME. The state will immediately revoke your HME if you hold one. You may apply for redress as indicated in paragraph two above, but may not hold an HME in the interim.